Ephesus – Rev. 2:7 – He that hath an ear, let him hear what the Spirit saith unto the churches; To him that overcometh will I give to eat of the tree of life, which is in the midst of the paradise of God. Smyrna – Rev. 2:11 – He that hath an ear, let him hear what the Spirit saith unto the churches; He that overcometh shall not be hurt of the second death. Pergamos – Rev. 2:17 – He that hath an ear, let him hear what the Spirit saith unto the churches; To him that overcometh will I give to eat of the hidden manna, and will give him a white stone, and in the stone a new name written, which no man knoweth saving he that receiveth it. Thyatira – Rev. 2:26 – And he that overcometh, and keepeth my works unto the end, to him will I give power over nations. Sardis – Rev. 3:5 – He that overcometh, the same shall be clothed in white raiment; and I will not blot out his name out of the book of life, but I will confess his name before my Father, and before his angels. Philadelphia – Rev. 3:12 – Him that overcometh will I make a pillar in the temple of my God, and he shall go no more out: and I will write upon him the name of my God, and the name of the city of my God, which is new Jerusalem, which cometh down out of heaven from my God: and I will write upon him my new name. Laodicea – Rev. 3:21 – To him that overcometh will I grant to sit with me in my throne, even as I also overcame, and am set down with my Father in his throne. The interesting part is that to each one of these churches Jesus Christ states that to him who overcometh will He reward and the ones that do not overcome, they do not receive a reward. Revelation 2:1 it states: Unto the angel of the church of Ephesus write; These things saith he that holdeth the seven stars in his right hand, who walketh in the midst of the seven golden candlesticks. We know from this verse that Jesus Christ walks in the midst all churches. There are two verses in The Book of Revelation that lets us know that, this not only applies to the seven churches that were in Asia, but also to Christians today. 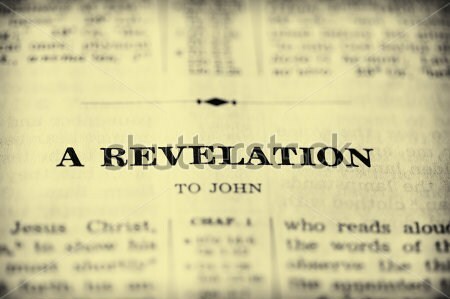 The first verse is Revelation 1:3 which states: Blessed is he that readeth, and they that hear the words of this prophecy, and keep those things which are written therein: for the time is at hand. This verse lets us know that the things contained in this book are prophecy, meaning they will happen in the future. The second verse is, Revelation 1:18 which states: Write the things which thou hast seen, and the things which are, and the things which shall be hereafter. Jesus Christ Himself said this, and it is plainly and clearly telling us that these things are, and things that will be. Next, we will see what it was that the churches were doing that Jesus Christ liked and didn’t like. Ephesus – Things Jesus liked – Rev. 2:2-3 – 2 I know thy works, and thy labour, and thy patience, and how thou canst not bear them which are evil: and thou hast tried them which say they are apostles, and are not, and hast found them liars: 3 And hast borne, and hast patience, and for my name’s sake hast laboured, and hast not fainted. Rev. 2:6 – But this thou hast, that thou hatest the deeds of the Nicolaitans, which I also hate. Things Jesus did not like – Rev. 2:4-5 – 4 Nevertheless I have somewhat against thee, because thou hast left thy first love. 5 Remember therefore from whence thou art fallen, and repent, and do the first works; or else I will come unto thee quickly, and will remove thy candlestick out of his place, except thou repent.